In the recent US elections, people living in the state of Florida voted to end greyhound racing in the state by 2021. While animal rights activists are celebrating the vote as a victory, others are not so sure. The dogs will have to find homes, and the people who operated or worked at the tracks will be out of a job. In addition, many gambling companies are concerned, because the vote appears to continue Florida’s retreat from gambling. Greyhound racing has been legal in many states in the United States since the 1930s. At most of the greyhound tracks, dogs follow a lure (usually a windsock) around the track. People are allowed to vote on the outcome of the races, much like people vote on the outcome of horse racing. However, while horse racing continues to be popular, greyhound racing is not. Beginning in the 1990s, people began protesting greyhound racing, stating that dogs were mistreated. Dogs were also said to be killed when they got too old for racing. Greyhound racing became increasingly unpopular. 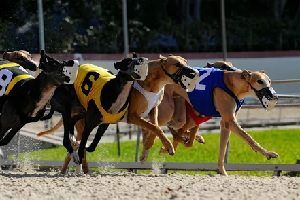 Greyhound racing in Florida revenues declined over 70% between 1990 and 2017. In the United States as a whole, greyhound tracks were closing all over the country. Currently in the United States, there are only a handful of states that still have greyhound racing. Alabama, Arkansas, Florida, Iowa, Texas and West Virginia are the only states that still have greyhound racing tracks. Of those states, Florida has the largest number of racing parks. There are currently 11 greyhound parks in the state. 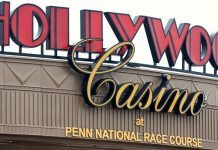 After the votes in the November election were counted, nearly 70% of the voters in Florida approved of the racetracks closing. 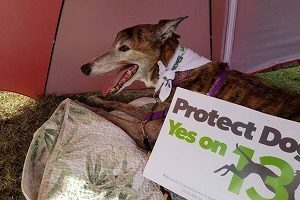 Nearly 30% of the voters in Florida were against the closing of greyhound tracks. Almost eight million voters weighed in on the amendment. However, there are problems with closing racetracks, according to government officials. The animal rights activists were elated when the amendment won now has the responsibility of finding homes for over 6000 greyhounds. The logistics are a bit overwhelming, but the animal rights activists have said they are prepared for the influx. The activists have been in contact with dog adoption and fostering groups all over the country to prepare to receive the soon-to-be-retired greyhounds. Also, there are concerns about the economic impact of the closing of the tracks in Florida. People who owned the tracks will have to figure out a way to make money from the closing or by selling the tracks. People will also be out of a job. Gambling companies have also looked at the climate of Florida with some concern. Gambling in Florida has been a growing business since the 2000s, when the Seminole Tribe bought Hard Rock Entertainment, and took over the casinos in Florida. While Florida has benefitted from the revenues from the casinos, to the tune of millions of dollars a year, there has been a growing movement in Florida to eliminate casinos altogether, or at least slowdown casino development. Floridians passed Amendment 3 in November as well, which eliminates additional casino development in the state. Many people were in favor of the amendment, but many other people are opposed. They believed that additional gaming development would be good for the state. Because the state is already a tourist destination, developers believe that the state can take advantage of that tourism to draw in crowds to gamble—either online or on-site. 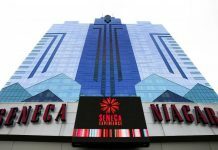 There will also be a problem with the development of sports betting as well. The Sunshine State will have a hard time with additional gaming development. The state, bypassing the amendments, is actually taking revenues away from the state, rather than adding to them.